Not only is she an important researcher in the field of breast cancer but also is a pioneering researcher who works with basic blood stem cell biology which leads to new treatments for leukemia. Recently, EurekAlert! The Global Source for Science News has announced that Dr. Connie Eaves has published in Cell Reports the first epigenetic profiles of normal cell types in human breast tissue. Along with her other colleagues who also have published their work around the world, this is seen as a major step forward in the field of epigenomics. We would like to thank Dr. Eaves for all the hard work she is putting forward in her research and we certainly look forward to hearing more about her. We believe that Vancouver is a beautiful city, with world class facilities, accommodations, restaurants, and attractions. Therefore, the Be a Host Program would like to encourage all locals around Canada to host international meetings in Vancouver. Please click here to see who have hosted and feel free to contact us. 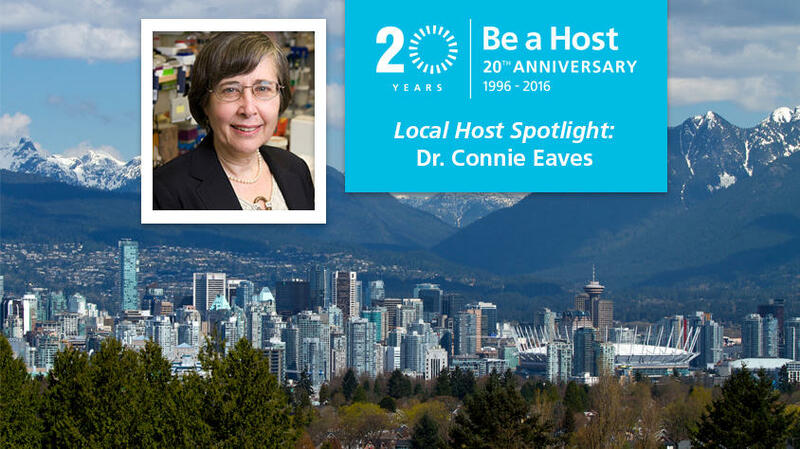 The video below profiles Dr. Eaves and other recent local hosts in which they speak about their experience with the Be a Host program.